Use code "DAISY" for $10 off! This painting is a C&C favorite! Customize your painting to match the colors of your room! 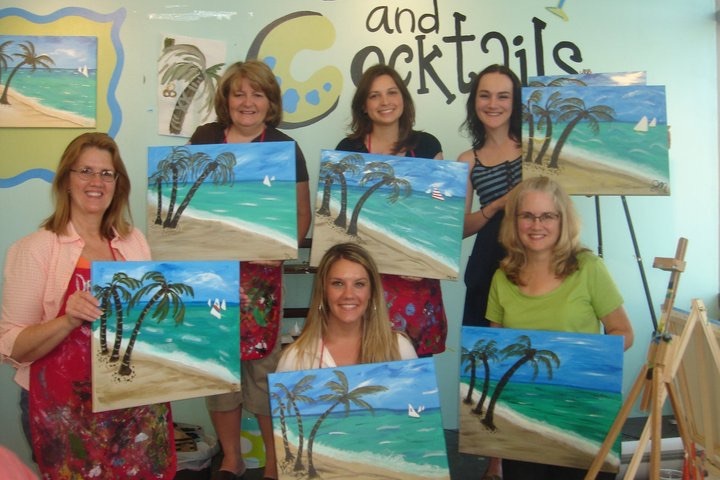 CANVAS AND COCKTAILS IS AN UPBEAT, CREATIVE CLASS FOR THE ARTISTIC AND THE NOT SO ARTISTIC. ​or make it a unique date night! Join us for an evening of entertaining art instruction. The best part? You will go home with a painting you can call "uniquely yours" and hopefully a new found talent you'll want to explore. Our instructor will guide you through step by step to recreate the featured night's painting. By the end of the night you will be amazed at the artwork you have created!